Are you looking for properties in Phelps County, Missouri? Single family and multi family homes rental portfolio! Simply purchase this turnkey package and start collecting rental income. 12-14%+ net return on investment. Potential to earn $300,000+ in appreciation. 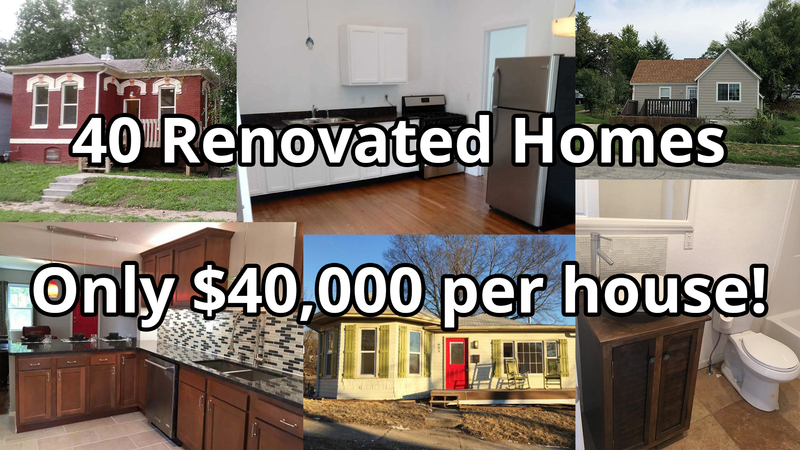 Total of 40 renovated units consisting of mostly single family homes. Units have stainless steel appliances, new electric, new plumbing, new roofs, new windows, etc. No deferred maintenance needed. Low operating expenses. Tons of potential to appreciate. Local property management is available. Easy to manage. Great residents. Hard money financing is available.